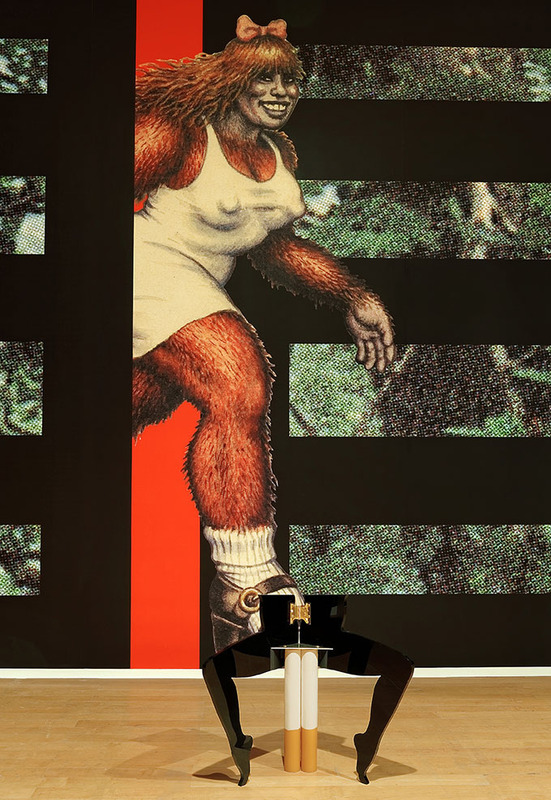 Anthea Hamilton (born 1978) is a London-based artist whose current practice comprises installation, sculpture and performance. 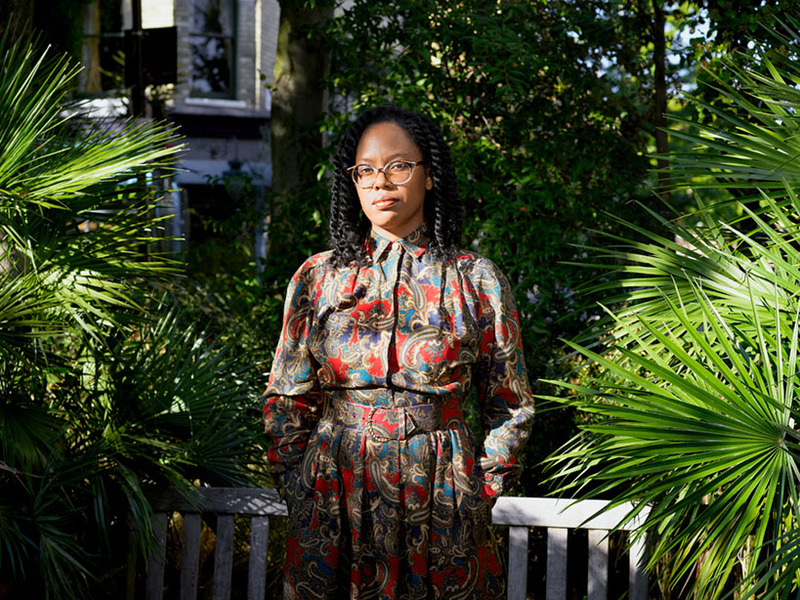 Her work is always site-specific: a consideration of the location, and the cultural and political environment as well as her personal circumstances at the time provide a framework for Hamilton’s research. Intuition then pulls ideas into forms within a non-verbalised structure: kimonos, chastity belts, boots, perfume, furniture, and mime troupes. Conversation and collaboration are also key to the way Hamilton works. Constituted from a combination of objects and images, both found and made and rooted in a common experience of the world, the environments she produces are live and conversational, at once humorous and serious, dually minimal and maximal. 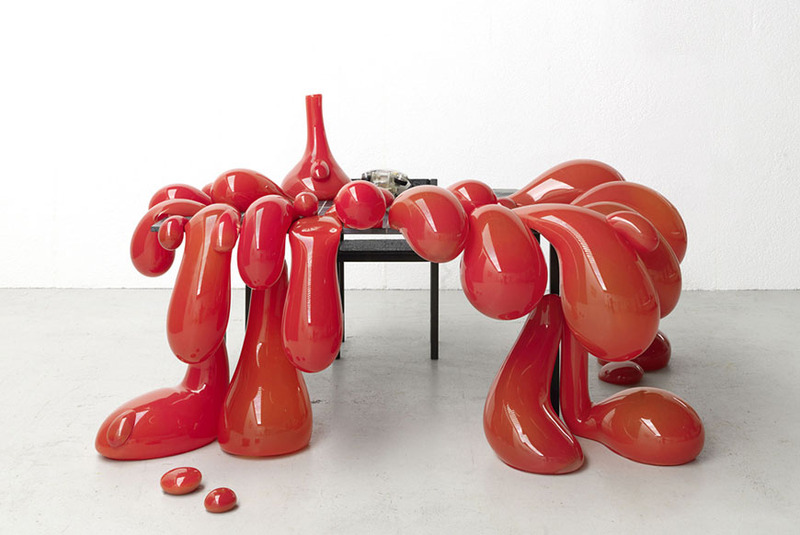 Hamilton has exhibited her work worldwide, most recently in solo exhibitions at Kettle’s Yard, Cambridge; Kaufmann Repetto, Milan; Tate Britain, London; Schinkel Pavillon, Berlin; Hepworth Wakefield, Wakefield; Serpentine Sackler Gallery, London; SculptureCenter, New York; and KORO, Oslo. Group shows include MAK Center for Art and Architecture, Los Angeles; Kayu-Lucie Fontaine, Bali, Indonesia; White Cube, London; Loewe Foundation; Miami, 13eme Biennale de Lyon and the Palais de Tokyo, Paris. 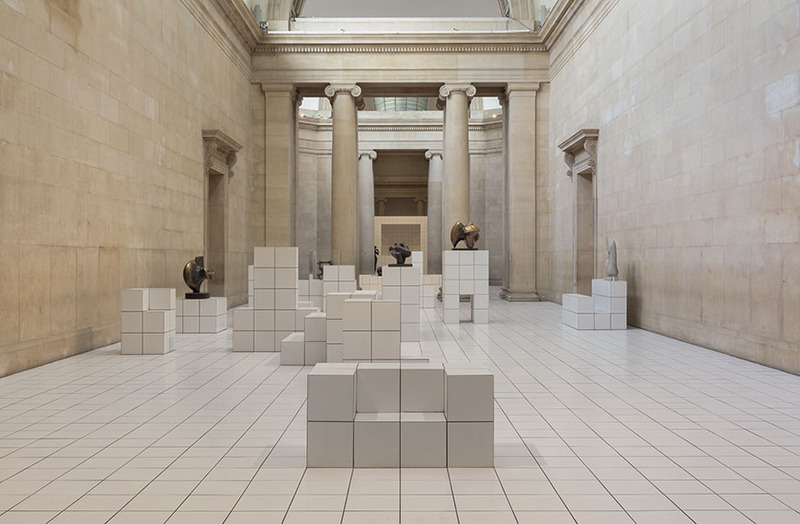 Installation view of a performance and installation commissioned for the Duveen Galleries. Sculptural work from Tate’s collection, costumes designed in collaboration with fashion house Loewe, white tiled surfaces. Tate Britain, London, 2018. Blown glass, Ferrari red pigment, limestone tiles, and sprayed metal. 220 x 160 x 105 cm. Commissioned by Vacheron Constatin for ‘Period Room’, Palais de Tokyo, 2014. Exhibition installation view of Let’s Go (Black) at ‘La Vie Moderne’ at the 13th Lyon Biennale. Also showing Cigarette Leg Chair (2014), wax, plaster, Perspex, brass and steel fixing. 81 x 92 x 46 cm. Multiple venues, France, 2015. Performance documentation. Frieze Projects, New York, 2016.